axaio MadeToPrint, MadeToCompare, MadeForLayers, MadeToTag. 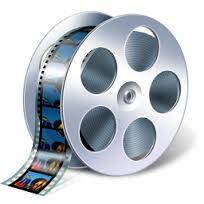 manages output to multiple formats and to multiple destinations simultaneously. are available for Adobe InDesign CC 2019.
axaio MadeToPrint Server for Adobe InDesign CC 2019 Server is available. axaio MadeForLayers is now included into axaio MadeToPrint. axaio MadeForLayers is now also included as part of axaio MadeToPrint. axaio MadeToPrint Server is now having a new user interface. axaio MadeToPrint supports QuarkXPress 2018 and the Quark Publishing Platform 2017.
compatible with WoodWing Enterprise for Adobe InDesign CC2018. vjoon K4 for Adobe CC 2019.
axaio MadeToPrint software can be obtained via license acquisition. Tamedia is a Swiss media company based in Zurich. with its printing facilities make it one of Switzerland's leading media enterprises. Germany's and Europe's Number One consumer electronics retailer. The company currently has over 800 stores in 14 countries around the globe. For the production of its promotional materials the company uses axaio MadeToPrint. with garden centers in nine European countries and is satisfied MadeToPrint user. Sweden’s largest sports chain with more than 140 stores in Sweden, Denmark and Finland. Production/Supply of sales collaterals and promotion material for sports stores. it is one of the world's leading manufacturers of play materials. "Motorrad - Europe's largest bike magazine now in Sweden". over 80 web and mobile platforms. TUI Germany GmbH is the German market leader in tourism. our production system for print production. Our MadeToPrint jobs ensure high reliability and short processing times. says Hendrik Bender, Consultant Media Technology. various types of organizations, publishers and brands. the right place: books, magazines, online, brochures, social media, tablets, phones. MadeToPrint helps Aste Helsinki to publish its materials with the highest quality and efficiency. with numerous multimedia news brands, such as BILD, WELT, and FAKT. is active in more than 40 countries with subsidiaries, joint ventures, and licenses. to meet project requirements in any industry. with the automation and handsfree operation of MadeToPrint. the design document to one or more output targets. PDF versions, EPub and XML. The automation process is based on an integrated hot folder support. is highly accelerated, fastening the print production significantly. from this as they can export larger amounts of documents in less time. Quality verification is one of the most important steps in any publishing workflow. the easier it is to correct mistakes saving time and costs. to one or more output targets. Automation into workflows: No, interactive processing – “click to output”. fully automated way using integrated hot folder support. Laidback Solutions FileTrain or Enfocus Switch. in order to produce cost-effectively and at the highest quality level. as their publishing program simply need top efficiency in terms of production procedures. Typically, several teams simultaneously work on a large number of documents. even with leading layout and publishing tools. extending, enhancing, and streamlining printing and output processes. for increased efficiency, as well as considerable time and cost savings. cost and errors should have a look at MadeToPrint. to the final printed document need to be as efficient and reliable as possible. Especially when handling specialized documents in multiple languages and versions. handling language layers and finally providing a fully imposed ready to print file. and considerable time and cost savings. unfriendly document output procedures inside industry leading publishing tools. MadeToPrint relieves designers for all technicalities of preparing files for print. enhancing, checking and streamlining all output processes. Today, Adobe Illustrator remains the tool of choice for the creation of packaging designs. for file exchange and review. cost savings and reduced errors. processed with that JobSet will consistently fit the same specification. for making the die cuts and more. other production specifications are set correctly. to get identical output from every workstation with one mouse click. and provides very precise and flexible standardized output control from these applications. Possibility to define the page range of a document which needs to be output. e.g. 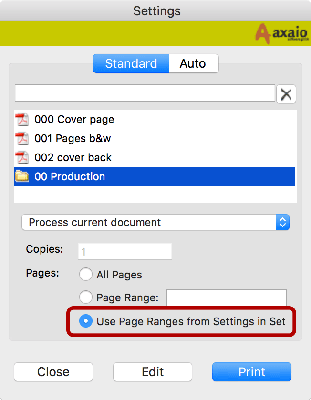 all jobs included in the set were executed with the page range 'all pages'. e.g. 'all pages' of all jobs in a set. 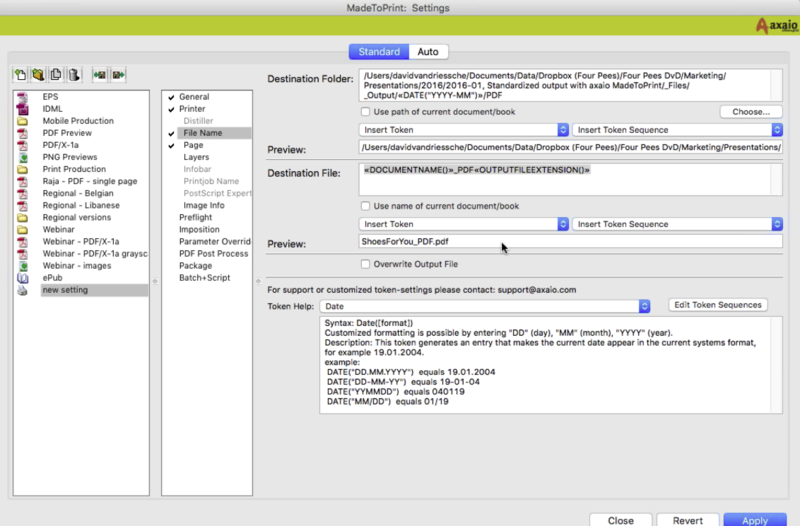 more tailor-made and accurate batch processing in MadeToPrint. output from Adobe InDesign jobs dropped into those hot folders. the order in which folders are scanned and jobs are processed by MadeToPrint. a lower priority than hot folder setups related to urgent production work. when produced as thumbnails or preview images. export of specific layer views by name is supported to increase flexibility. and as a result increase rentability of production. An important part of this process are tokens. numbers to information from editorial systems. Tokens are available for many aspects of output settings. how their name will be created and more. allows predefined token lists for recurring needs. the first and last spread number of the currently exported file. the folder and file naming even more dynamically. labeled with a specific ScriptLabel, and imports it into the folder or file name. in a flexibel and tailor-made way. the handling of different and complex customer or project configurations. and job sets for a particular client, magazine, project etc. are easily transferred from one system to another. On top of that, MadeToPrint now also allows searching jobs and job sets. job sets in a large configuration. 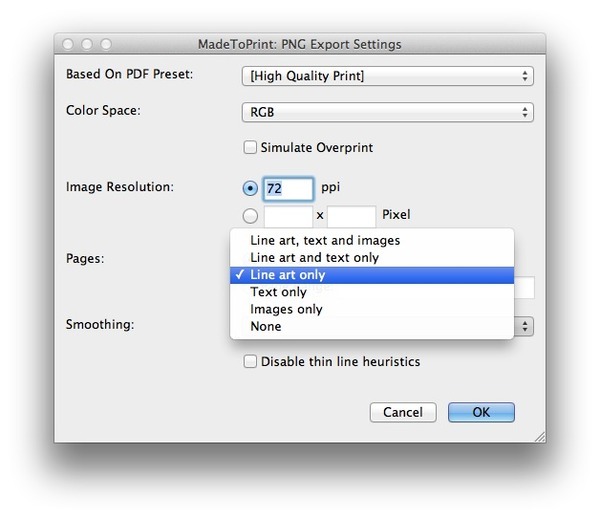 MadeToPrint specializes in taking InDesign files and exporting them to various output formats. 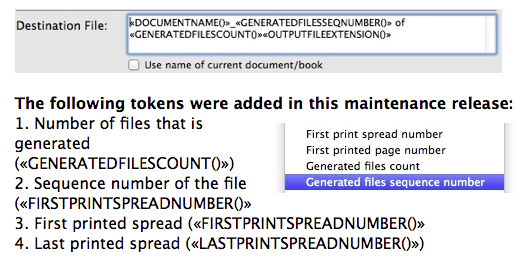 What is less known is that MadeToPrint is also able to open IDML files and process those. 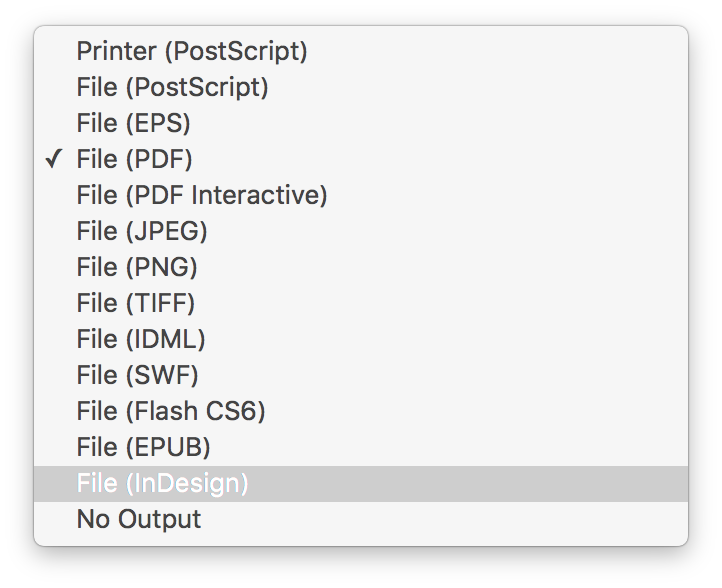 MadeToPrint can now also use native InDesign as output file format. and MadeToPrint will save proper InDesign files. and export them into PDF. Automated PDF export from Adobe InDesign, Illustrator or Photoshop files. 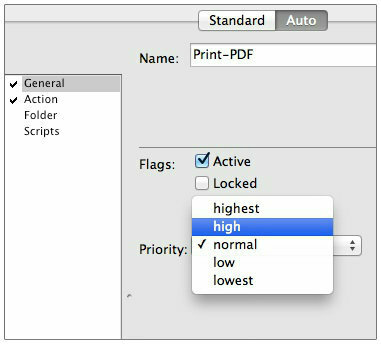 Automated native file preflight in MadeToPrint before generating the PDF. Time savings for more efficiency and enhanced usability. 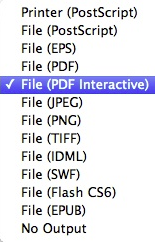 An often requested export format has been added: the interactive PDF. like for example 'buttons', 'forms', etc. are preserved in the interactive PDF. Illustrator files from hot folders. exported according to the settings of the specific job or job set. PDF, image, PostScript or any other file format supported by MadeToPrint. can therefore be adapted more flexibly to customer requirements. comprehensive response to the status of the processing in the current workflow. regardless of which InDesign version the customer is working with. digital channels an integrated part of the publishing process. output workflows for multichannel publishing. with a maximum of efficiency. are compatible with WoodWing Enterprise for Adobe's Creative Cloud version 2018.
technicalities of preparing different file formats for print (e.g. PDF). extending and streamlining output processes. - fully automated, without manual assistance. reliable and effective output procedures are guaranteed. directly from within the WoodWing publishing system - automatically 24/7. an error message, without having to leave Adobe InDesign. fundamental aspects of the production workflow: the edition. vjoon K4 for Adobe Creative Cloud 2019.
ensuring a reliable and effective output process. as well as the efficient MadeToPrint output capabilities.